Montreal, October 24, 2018. The year 2018 showcases Fabienne Colas’s successes as an artist, entrepreneur, president and founder of the Fabienne Colas Foundation and seven festivals in Canada, the United States and Haiti. After years of hard work to promote and support better diversity representation in the arts industry, she has received numerous Canadian awards. After winning the Prix Femmes en cinéma, télévision et médias numériques (FCTMN), the coveted 2018 Canada’s Top 40 Under 40, and being named La Presse’s Personality of the Week, Colas has obtained three additional prestigious awards and nominations. She is the winner of the 2019 Martin Luther King Jr. Achievement Award, finalist for the 2018 Charles Biddle Prize, both nationally and internationally, and finalist for the Prix Femmes d’affaires du Québec 2018. “It is a privilege to be recognized by our peers and the industry. As a young Haitian, Canadian, and Montrealer, I take everything with great humility, gratitude and pride. 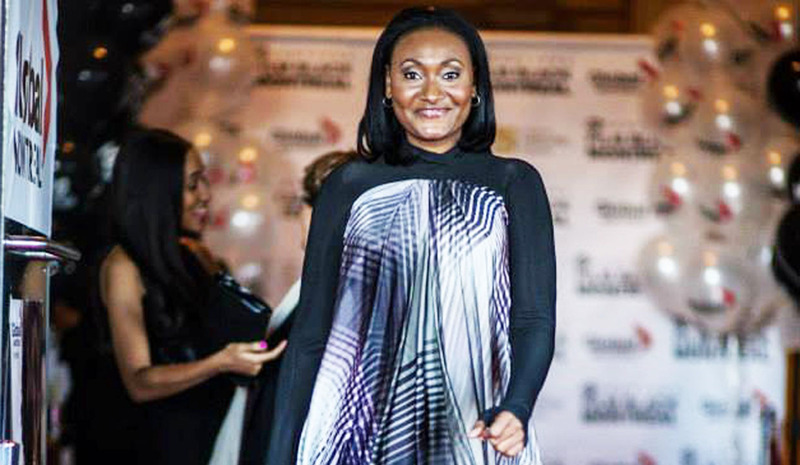 These awards and nominations tell me that I am on the right track and encourage us at the Fabienne Colas Foundation to continue building more bridges in the arts for a more inclusive society,” said Fabienne Colas. Fabienne Colas will receive the Dr. Martin Luther King Jr. Achievement Award from the Black Theatre Workshop during its annual Vision Celebration Gala on February 2, 2019—an official launching pad for Black History Month celebrations. Colas adds her name to Oscar Peterson, Oliver Jones, Dany Laferrière, Gregory Charles, Doudou Boicel, Charlie Biddle, and Tony Lee Williams, celebrities who have previously received this award. The award pays tribute to outstanding black artists who help develop Canadian arts and celebrates the vision of growth, solidarity and unity inspired by the great historical and contemporary figure Dr. Martin Luther King Jr. Click here for more information. The Charles Biddle Award highlights the exceptional contribution of individuals who immigrated to Quebec and contributed, personally or professionally, to the province’s cultural and artistic development on the national or international scene. Through the individuals’ achievements, the Charles Biddle Prize recognizes the efforts and contributions of individuals who are successful role models in their field and in Quebec society. Fabienne Colas is nominated alongside choreographer and dancer Roger Sinha and composer Ana Sokolović. The award is presented by the Ministère de l’Immigration, de la Diversité et de l’Inclusion (MIDI), in partnership with Culture pour tous, during the Semaine québécoise des rencontres interculturelles. The winners will be announced on November 5, 2018. Click here to view the finalists’ video. Since its inception, the Prix Femmes d’affaires du Québec has been the only competition for well-known women entrepreneurs, executives, managers and professionals across Quebec. These are businesswomen recognized for their know-how and interpersonal skills, their convincing achievements and their influence in all spheres of the Quebec economy—locally, nationally and internationally. The gala will be held on November 7, 2018. Click here to see the full list of 2018 finalists. Canada’s Top 40 Under 40TM is a dynamic award program that identifies outstanding young achievers in Canadian business—visionaries and innovators changing how things are done. These visionaries and innovators are inspiring others and giving back to their communities and to Canada. Each achiever is under forty. Founded in 1995 by Caldwell, Top 40 has recognized more than 685 outstanding Canadians and is the country’s most coveted award for young business leaders. Fabienne Colas and her peers were selected among 800 nominees by an independent advisory board that comprised of more than 20 business leaders across Canada. Recipients will be honored at the Top 40 Awards Night Gala at the Metro Toronto Convention Centre on November 21, 2018. Click here for full list of 2018 recipients. Fabienne Colas’s leadership has been praised by the business sector, the artistic industry and all three levels of government. Named Personality of the Week by the prestigious newspaper La Presse (2018). Winner of 2018 Canada’s Top 40 Under 40. Winner at the Femmes en cinéma, télévision et médias numériques (FCTMN) gala, where she was recognized for her exceptional contribution to the Quebec film industry (2018). Nominated and chosen by the U.S. State Department as the 2017-woman leader to represent Canada in the three-week International Visitor Leadership Program (IVLP), where 47 countries were represented. Prime Minister Justin Trudeau publicly praised and congratulated Colas at the Harry Jerome Awards Gala as a leader with whom government officials should keep working to make positive change in the black community. She received the 2017 Harry Jerome Arts and Culture Award in Toronto for her major contribution to the Canadian arts and festivals industries. Former Immigration, Diversity and Inclusion minister Kathleen Weil awarded Colas a medal at the National Assembly of Quebec, recognizing her leadership and contribution to fighting against racism and discrimination in Quebec (2015). She served as a board member on the Society for the Celebrations of Montreal’s 375th Anniversary and was a member of the programming and diversity committees. She was invited to the 2018 Canadian Screen Awards as an award presenter in five categories off the air. In 2015, she was a guest of honor at Dany Laferrière’s historic induction ceremony at the Académie française, the pre-eminent council for matters pertaining to the French language. In 2010, she won the Black History Month Award in Montreal for her active involvement in her community. She was invited to officially meet and sit at the table of honor of President Barack Obama (2017) and Former First Lady Michelle Obama (2018) during their visit at the Board of Trade of Metropolitan Montreal conference. In 2013, she met with prestigious leaders such as Oprah Winfrey.